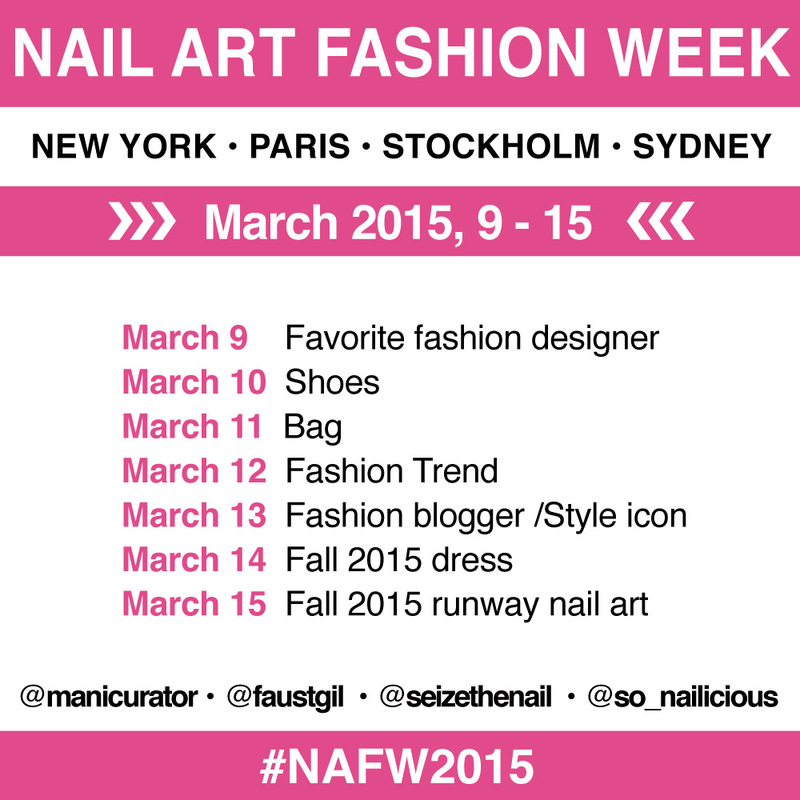 Excited to bring you Day 2 of Nail Art Fashion Week 2015! Today's theme is shoes!! I had a fun time researching for these and found myself wishing I wore heels more often! I have a folder of favorites but when I saw these Paul Andrew Zenadia pumps on Nordstrom.com I was done! These were fun but way more time consuming to create than I thought. Then, for the life of me I couldn't get a shot I was pleased with! Hence..posting Day 2 so late in the day! Here's Day 1 - favorite fashion designer (DIOR) if you missed it. 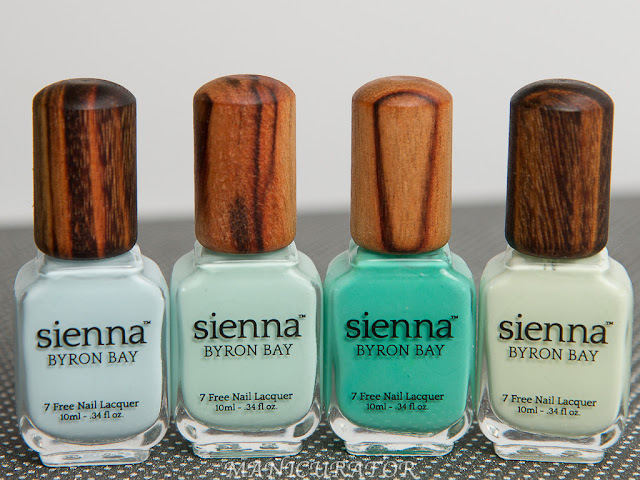 All shades are China Glaze: Don't Honk Your Thorn, White on White, Pelican Gray, Out Like a Light, Trip of a Lime Time, Budding Romance, That's Shore Bright, Nice Caboose!, Pop The Trunk, Well Trained, Mind The Gap, Don't Get Derailed, What Are You A-Freight Of? 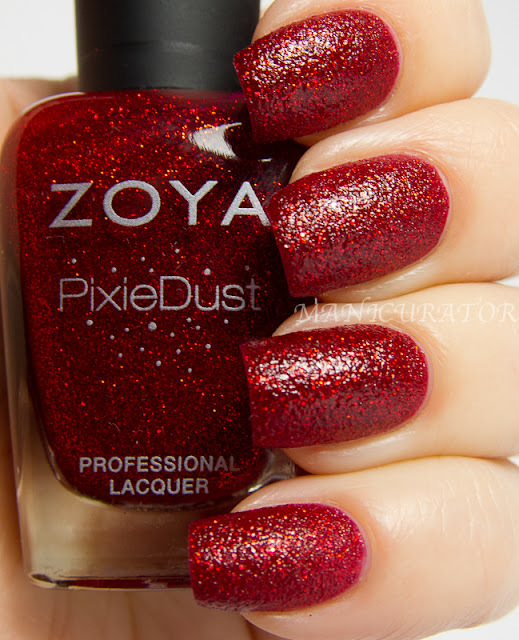 The base for this mani is 2 -3 coats of Don't Honk Your Thorn. 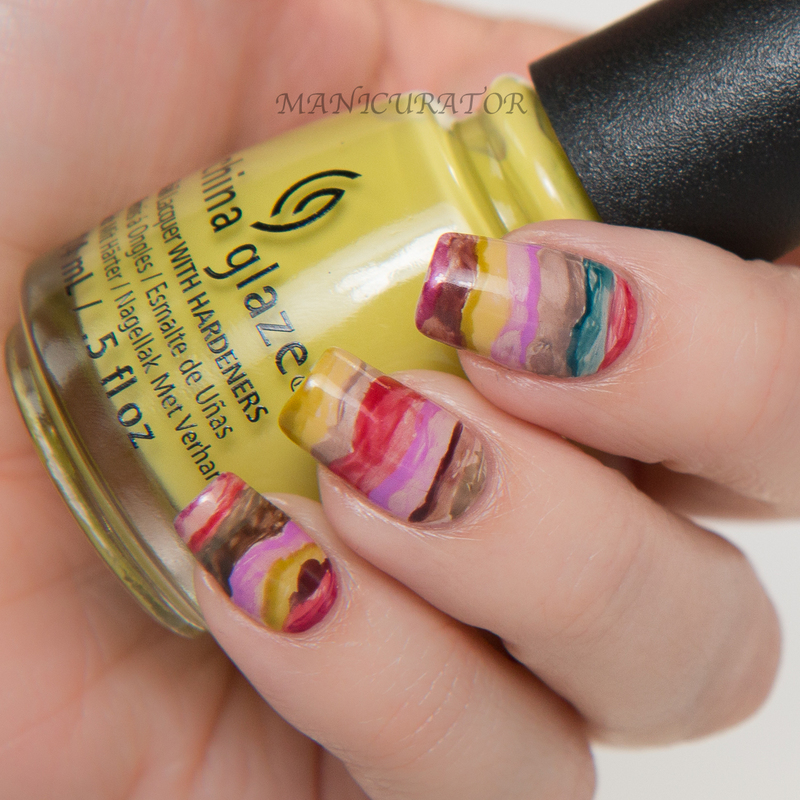 I then randomly painted on thinned out (with pure acetone) sections of the other colors. For some, I combined 2 or 3 of the colors to make more customized shades. To be honest...this pretty much looks amazing on the nails (better than in the photos I think) and I don't wannaaaa take it off tomorrow! Please join us if you haven't already and make sure to tag us so we can see, and to perhaps get featured! Even if you can't do all of them, join in for the ones you can! ohmygoshohmygoshohmygosh! I am absolutely in LOVE with this! Amazing job, Victoria! I don't want you to take them off either!! Eeeeverything takes longer than I expect for me. You did an amazing job! Now I want those shoes.. Without the reference of the shoes, this reminds me of sand-art people used to do in bottles and bowls! Gorgeous look ♥. OOOOMMMMGGGGG!!!!! I love you. I mean I love them. I mean I love you and them. WOW!!! These look great! I love how you got all those colors on there. It looks like you spent a lot of time on it but it looks amazing! I agree with Lucie LOL! It reminds me of Mexican blankets. Divine is right :) The shoes aren't bad, either, and cheap! lol. 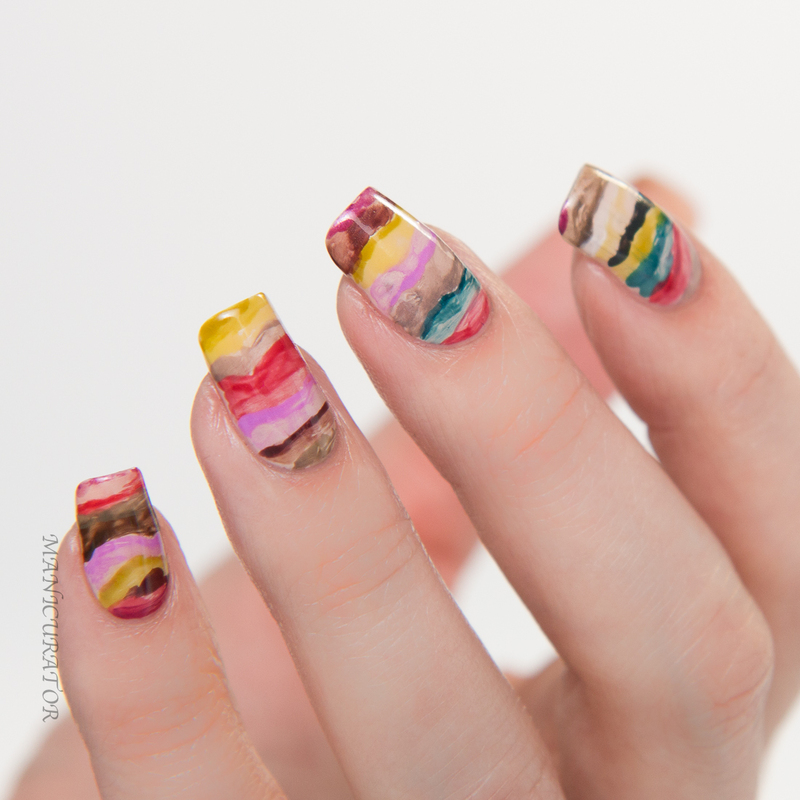 Awesome job recreating this design on your nails! 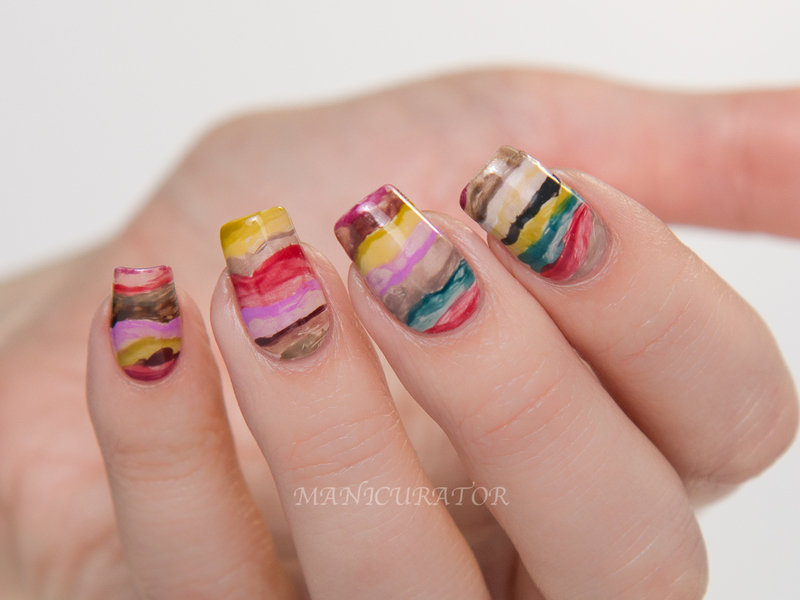 It also kinda reminds me of rock striations, love it! I literally gasped when I saw this on Instagram! Looks amazing! I would love to have the shoes and the nails. 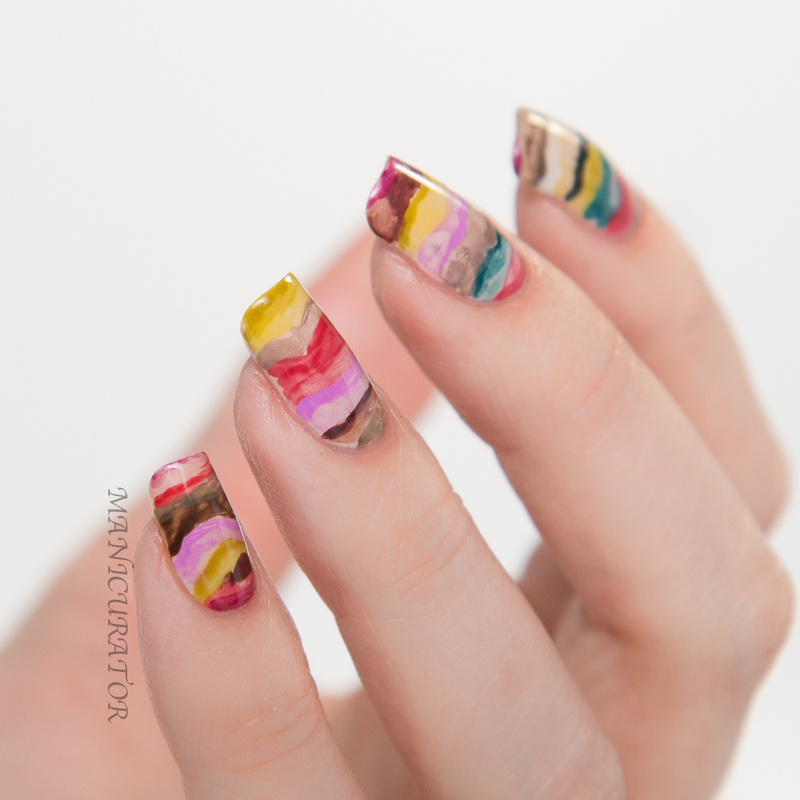 I really love this nail design and I totally understand wanting to keep wearing it. 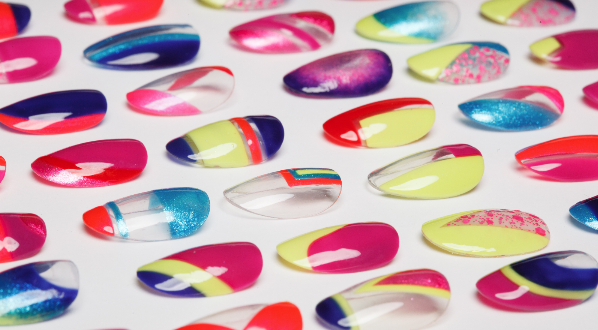 That is when you know you have a top ten mani. When you really don't want to remove it for a new one. Really, how often does that happen? This is a winner! 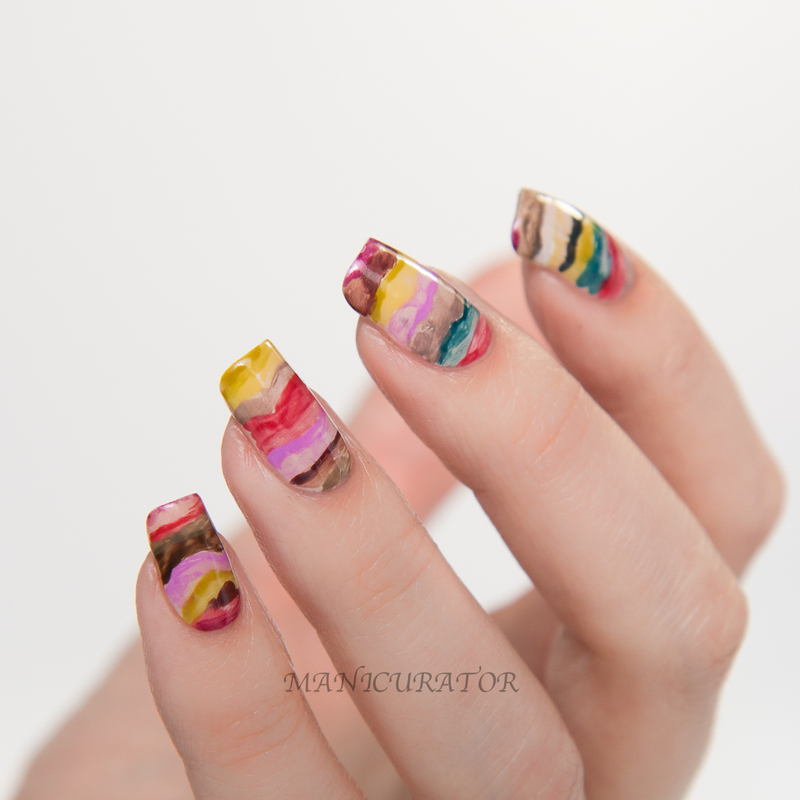 It's like awesome abstract nails! The shoes are great, haven't seen such like and your nails are even more gorgeous!! Love! I love this NAFW series. You're coming up with some super awesome designs!